One of the most played games, one of the favourites, and an entertaining gaming experience is what awaits you. 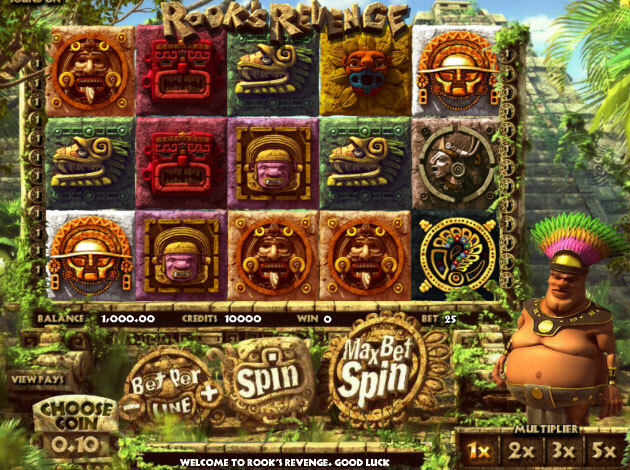 this is the Aztec inspired Video Slot named Rook´s Revenge – a game that literally took the online gaming world by storm. It is time to find out all we can about this masterpiece! We proudly present Rook´s Revenge, a game brought to you by Betsoft Gaming – the master of 3D graphics, innovative graphics, and alluring designs. This is no exception! Rook´s Revenge is a Video Slot offering the popular Aztec theme, with a cool twist of gameplay. This can be seen all over the layout and design, which we will tell you about now. The lower valued symbols are the brown Aztec block stone, the yellow Aztec face stone, and the animal looking Aztec stone. The higher valued symbols are made by the orange Aztec face stone with its tongue out, the blue Aztec face stone, the pink and gold Aztec face stone, and the red Aztec face stone. These are all worth a great deal, but it all depends on the bet you choose to play in the game. But above these basic symbols, there are a few extra special symbols to keep a lookout for in the game. You can see the gold, decorated Aztec mask, which is the Free Spins Symbol, and the gold question mark in cool details, which is the Wild Symbol. We will reveal all about these below. The main feature of the game is the Free Spins Feature, which is triggered by the gold, decorated Aztec mask with beads, flowers, and earrings. When you land on 3 golden masks in a winning combination on any payline, you trigger the Free Spins. These symbols will only turn up on reels 1, 2, and 3. You can also earn additional Free Spins by landing more of the symbols in the actual round. If you explode 3 or more matching symbol combinations will cause the symbols from above to fall down and increase the Multiplier. If the new symbol creates a new win, you will be paid out your win multiplied by the win multiplier, which then makes place for new symbols to fall down. The Wild Symbol is one appearing on reels 2, 3, and 4, and can substitute for other symbols on the reels. Rook´s Revenge is a Video Slot played with 5 reels over 3 rows and additional 25 paylines. The reels doesn’t spin like other normal sets of reels, as the symbols are blocks which falls down onto the reels. Rook´s Revenge is, as mentioned, one of the most popular games in modern gaming. It offers a theme players love, one inspired by Aztecs and the secrets, mysteries, and hidden treasures that comes with these kinds of themes. It is a grand game, and you are sure to like it as much as we do playing it. The game takes place in the middle of the deep jungle, packed with vegetated palaces, ruins, and alters. In this middle of this is Rook, the chubby, cool-looking Aztec dude which you will follow throughout the game – a dude who became basically a synonym for the game name. He stands next to the reels in this greenest of jungles, cheering you on in the way to the big wins. Betsoft is a company founded back in 1999 as an online casino developer. 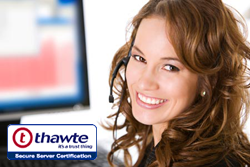 Their main focus was providing innovative games as well as reliable software products to their many operators. Betsoft quickly developed and grew into a company well-known for their creative and well-liked games. Starting in 2012, Betsoft Gaming began a concentrated push into the mobile iGaming market with their specialised ToGo™ line of mobile video slots. Optimised for iOS devices, these portable games include an ever-expanding list of some of their most popular Slots3™ titles, such as The Slothfather, Safari Sam, and Three Wishes. Their ToGo™ collection retains all of the quality and detail of the original Slots3™ games. This was a big launch for Betsoft, and a great time for them. They had established a name for themselves as a respected and successful provider, and the success was inevitable. Betsoft games are today renowned throughout the industry for their state-of-the-art, true 3D graphics, provocative audio and intuitive gameplay. Presented in stunning, true 3D cinematic animation produced to the exacting standards found in today's animated feature films and console video games, Betsoft Gaming boasts an extensive collection of over 150 games. Some of these 150 games are; After Night Falls, Pinocchio, At the Copa, and More Gold Diggin.